Our next interviewee won't be heading to Simple Session but she's a veteran when it comes to competitions. Her past credentials include 2 Toronto Jams and the BMX Masters. 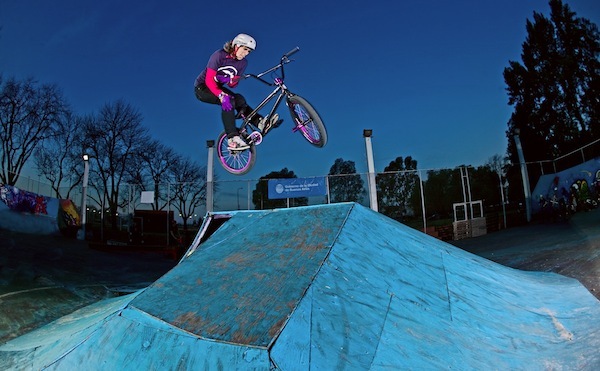 There are so many talented female riders all over the world, it's gonna be tough interviewing them all! From Korea, say hello to Mini Park! Hi, I'm Mini Park from South Korea in ASIA. I've been riding10 years now. 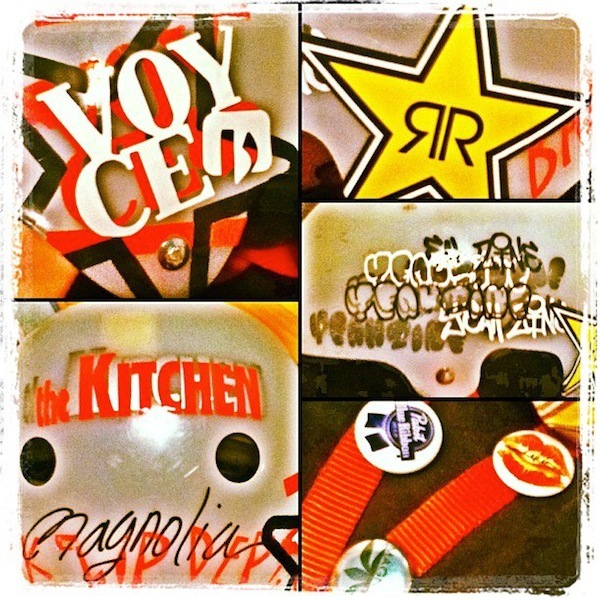 I ride for CJ,CGV,Bears-bike and POC. What is the female riding scene like in Korea? Sadly, I'm the only BMX rider in South Korea. So, I usually ride with men.... I sometimes go Taiwan for a practice, because my sponsor bike team is there and help me to practice well. In Taiwan, there are some girl riders. So.. there was this commercial that I saw on Yeah Zine, I think it was a tampon commercial? I was shot for a tampon commercial advertisement. But it's over now. But you can find the video on the web. I will send you a link for the video. Any bike buying tips for a new rider? I would suggest a complete bike when beginning and one thing you have to consider too, is your height for the size of BMX. Once they get a bike, what's the next step? 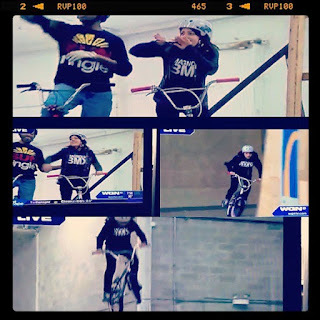 Getting familiar with BMX!! Ride as much as you can!! If you can ride BMX in the skate park, it would be great!! Anything else important to note? Nope!! 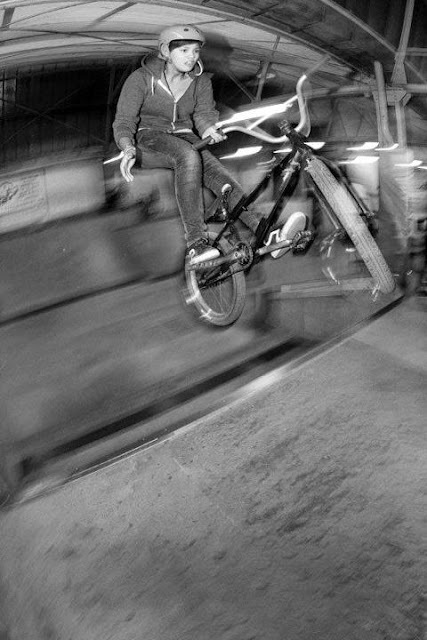 Just Ride and Be Happy with your BMX!! I'm sure this is a repost for allot of you, but I just really love what Samantha Moodie had to say in this Vibe Vixen interview. You can also see Sam in action if you are attending Simple Session this year too! Look at that girl, look at that girl! Shortly after her Toronto Jam debut, Brooke Betancourt had some local exposure on WGN News. Watch Brooke strut her stuff above! 8 more days until Simple Session in Estonia! I hope these interviews encourage an even bigger turn out next year for the ladies! 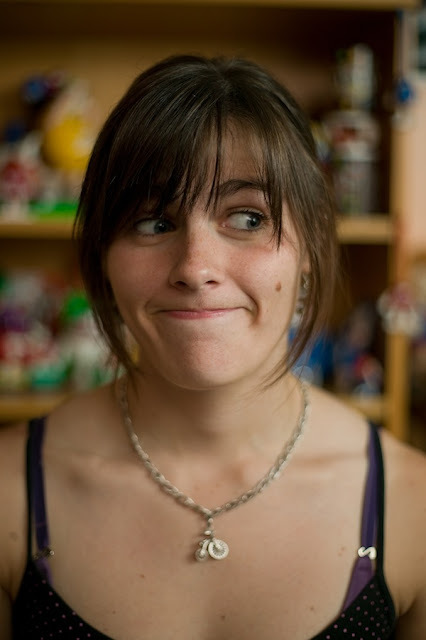 Our next interviewee is also Germany, meet Rebecca Berg. Hey I'm Rebecca Berg a lot of people call me Becci. I live in Stendal, a small town in Germany. I've been riding for almost 6 years now. I don't have any sponsors. What is Simple Session to you? I recognized Simple Session 3 years ago but I never thought about going there. Somehow I like contests but I don't love the fact to compete, I just love the vibe between the girls and how everyone is pushing each other. It just feels amazing. It's gonna be my first time at Simple Session and I'm very excited and kinda scared cause a lot of people gonna watch the contest, plus it's my first international contest. I hope we ride a lot, laugh, laugh, laugh, being weird, party, and just have a good time. Any advise for girls who are looking to enter next year? Oh boo, we're nearing the end of our Simple Session interviews! I hope you guys have been enjoying these so far! 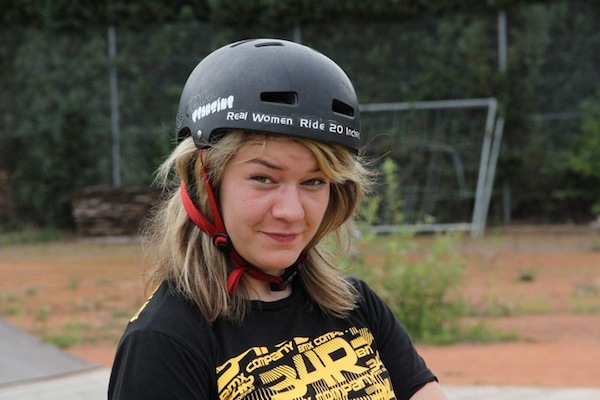 Our next rider is from Germany, say Guten Tag to Zandile! 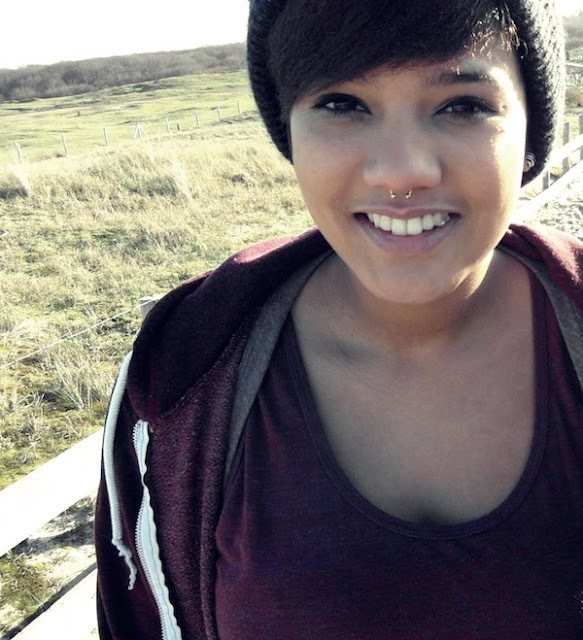 Hi, my name is Zandile Mkwanazi, most people call me Zee, I'm 19 years old and I live in Cologne, Germany. I've been riding BMX for about 4 years now, with several breaks though. I spent a year in Michigan, USA and didn't have the opportunity to ride my bike for the first 7 months. In 2011 I broke my ankle in two places and ripped all my legaments so I couldn't ride my bike for 4 months. And last but not least, my bike got stolen two times... ha. 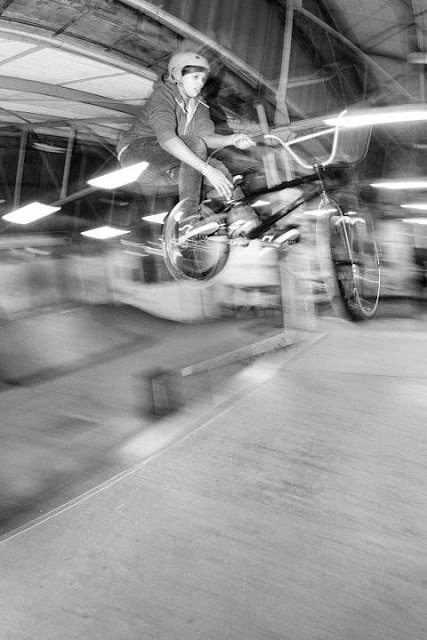 I ride for CROWBMX, a local BMX shop, which is really nice. What is Simple Session in your perspective? 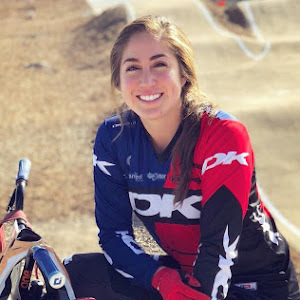 I'm excited to ride bikes with girls that come from all around the world, also, big contest like that are so much fun. To be honest, the competition is not really THAT important for me, because I'm not really a contest rider. But never the less I love the good vibes, parties and the whole atmosphere. I really can't wait to go!!! Anything you are not looking forward to? I'm very excited about our next Sister Session / Simple Session interviewee, from what Peta tells me, she's very cool chick and hopefully I'll have a chance to meet this lady soon! Hola Camila! Hey! I’m Camila Harambour. I was born in Punta Arenas, a small city at the South of Chile, but I’m actually living in Buenos Aires, Argentina. I’ve been riding BMX for 10 years now and I’m actually riding for MegaRamp, 34R Bike Co. and Bodacious, although I could also say I’m riding for my parents who have been the mayor support in all my riding career. This year is going to be the first time that Simple Session holds a girls class, which they named Sisters Session. I’m so happy I’m gonna be able to assist. We are around 10 girls who confirmed already from all parts of the world. 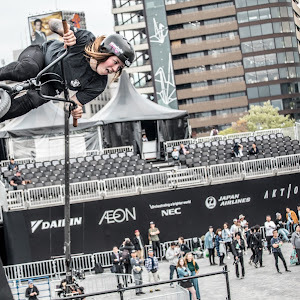 I don’t know if Simple Session the most important contest in BMX, but what I know for sure is that is the one that most riders want to go. I’m really looking forward to see what the guys are gonna though this time, as well as giving my best in the park and of course having an amazing time at the park and at the parties! What will your schedule be like during Simple Session and while in Estonia? I arrive to Estonia on Wednesday afternoon so I guess I’ll be a tourist for the rest of that day with my mom and then Thursday and Friday are practice days. The girls heat will be on Saturday and then on Sunday I’ll watch the guy’s final. Any tips for girls who are looking to enter next year? I recommend all girls who want to enter a contest to go with the idea of having a great time! You’ll have time for yourself to enjoy the park, do what you like the most and meet new riders! At least for me, the more fun I’m having, the best I’m riding. Do you need a certain skill level? Certain skill level? Just having control of your bike and knowing how to use the ramps (if you’re riding park). About traveling, although you’ll meet a lot new riders at wherever you’re going, its always good to know at least someone before, even by facebook, its super easy nowadays! Also remember to pack everything you need, but JUST what you need… I’m sick of paying overweight lol. And personally what I can say is that learning English has helped me a lot though all my traveling. I know I still need to improve it, but I was able to write all this now! Haha. So try to know at least a little bit of the language they talk. Are you looking forward to anything specific while being there? Meeting all the girls is always fun! Hopefully there’s no drama going on this time lol (ooooo Gosip!). There are also a lot of riders I haven’t seen in a while that I’m looking forward to see and ride, and party with them! I think is gonna be so fun, I cant wait to be there! My name is Allison López, I was born in Uruguay but raised in Buenos Aires, Argentina and now I am kind of living everywhere because of my job. This year I am spending most of the time in Paris... I love France! Sao Paulo. Brasil Trip getting some fun. vao viveeee!!! 2V On the air! from Allison Lopez on Vimeo. What can you tell us about Simple Session? What will your schedule be like during Simple Session, is there anything you are looking forward to? My schedule in Estonia? hahhahahha enjoying a good session with the girls and partying as usual hahhahahah. Like I said, I will love to ride the course first and also see riders like Ruben or Sergio riding. Do not hesitate to come because riding and having fun is the purpose. Only 12 more days until Simple Session 2012! I won't physically be there to cover the event, but I thought I do what I could while sitting around in Canada. 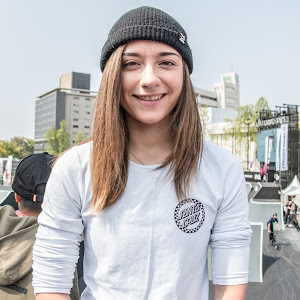 This week will be filled with interviews from the BMX Sister Session riders. 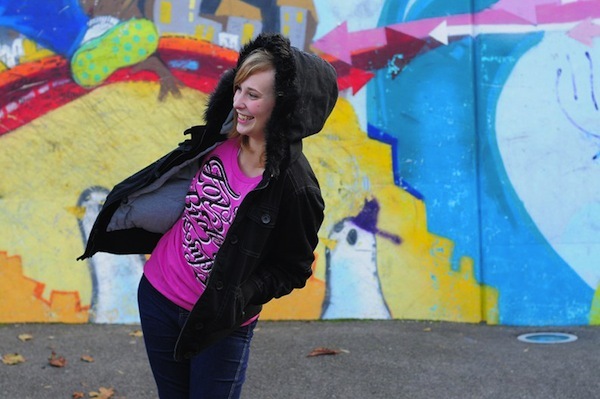 Our first interviewee is from the United Kingdom, say hello to Kayley Ashworth. 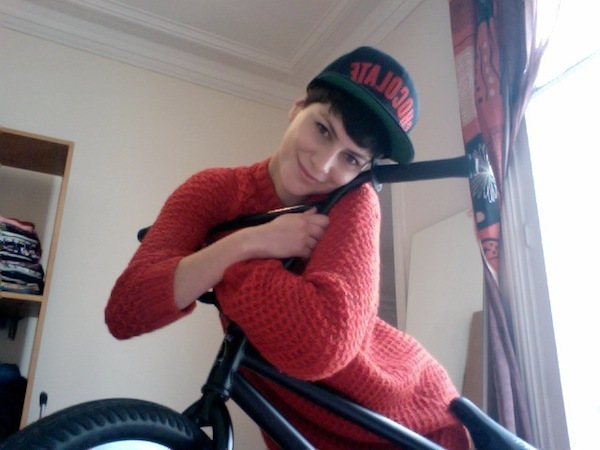 I'm doing this interview because I pedal a BMX and have a lot of fun doing so! :) myself and 10 other girls have had an amazing opportunity to have a 'Sister Session' at one of the worlds biggest competitions. Simple Session 2012. 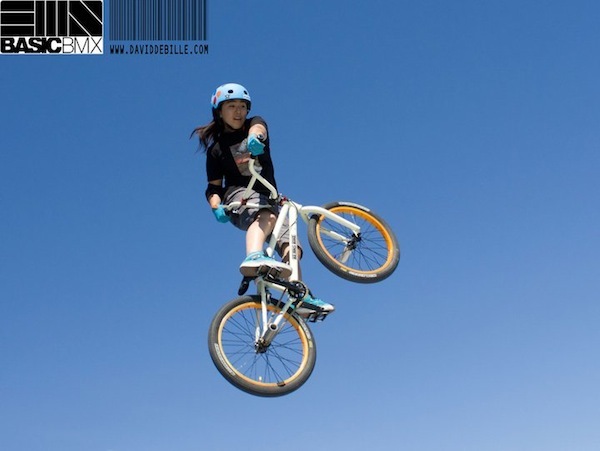 Kayley Ashworth - Superstar bmx EDIT from JC Pieri on Vimeo. For those who don't know, what is Simple Session? 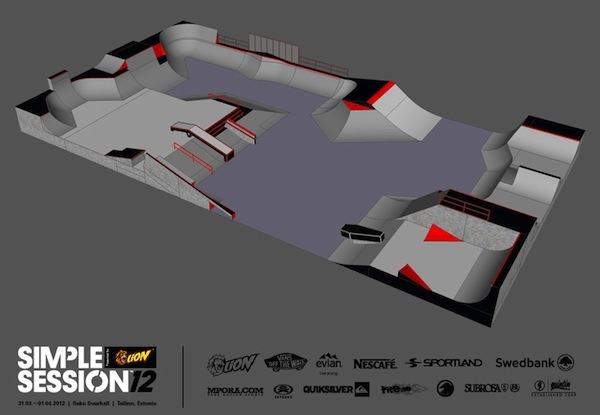 Riding that course is going to be amazing, let me say that again...AMAZING!!! Have you seen the size of it?! Oh my days! It'll be cool to see everyone again, it'll be the first competition of the year, haven't seen everyone since July! Thanks Kayley! To learn more about her, scroll up and click on her sponsors!